It’s Hot at the Top! 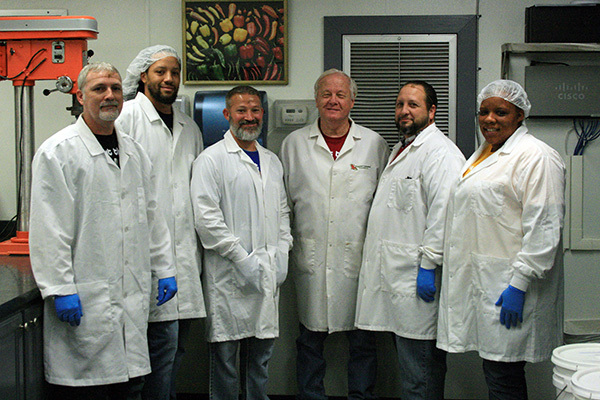 | Peppers Unlimited of Louisiana, Inc.
Peppers Unlimited of Louisiana, Inc has established an in-house Micro Laboratory to insure that our products and facility meet government standards for food safety. 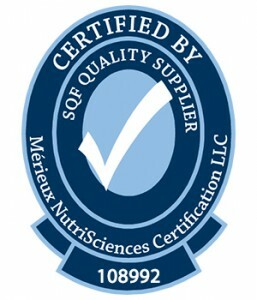 The regiment includes testing raw ingredients, finished products and environmental testing. The in-house Micro Laboratory is monitored by an independent source on an annual basis to insure test procedures and applications are in compliance. 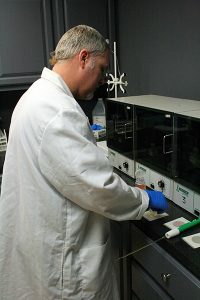 The Research and Development Department uses computer technology to help insure product stability. Each formulation is set with control criteria that are used as the control base once the formulation has been approved. These controls range from 25 to 40 points depending on the formulation. This control is set on the program and allows for shelf life studies and insures maximum formulation stability of each order. Rather than trying to read thousands of data entry points, the program gives a visual identity of points outside established control limits. 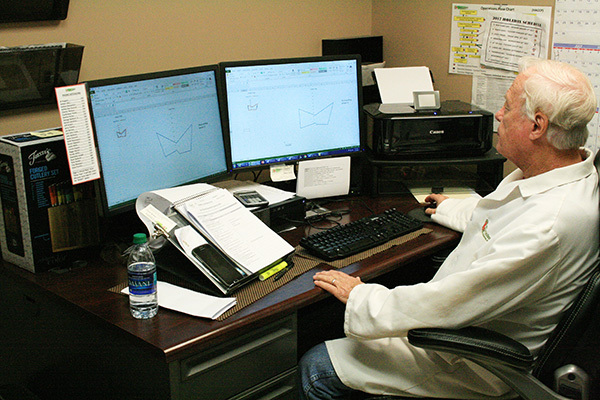 Tony Ponter using computer Technology to help insure Product Stability.